For all those who want to start a career in rope access or are working already in the field and have a few questions regarding rope access logbooks, take a look at the following questions and answers. 1) Where do I get a IRATA logbook? Once you’ve completed your L1 with IRATA, you get access to your logbook. Your evaluation or assessment results are sent to IRATA head offices after which you get a printed official logbook for you with your certification and ID card. They will mail us your documents, which we then will mail out to you. 2) What gets recorded in a rope access logbook? •Recording the rope access technician’s training and experience is the main purpose of the logbook. This includes the total hours an individual has worked for in rope access, and also the type of work and variety of work. •You’ll also maintain a record for all your future assessments in your logbook with the following details: date, pass/fail, assessor’s signature. 2) Are all logbooks the same? •No, not all logbooks are the same. 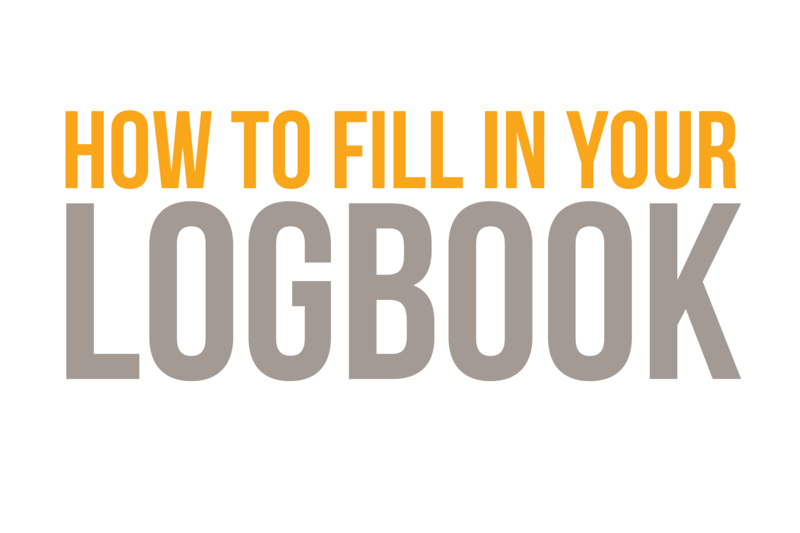 The logbook you have is specific to you. The front page has your photo and it required your signature once you receive the logbook, with your IRATA number, and also a logbook serial number which is unique. No one can steal or reproduce your logbook and use it as their own. 4) What kind of hours are “counted” towards the overall number? •All your rope access activities, equipment inspections (rope access related), any rigging, de-rigging, and safety talks (related to rope access) are included in the type of hours. •So, anything and everything that you learned in your training and you do that activity out on the field will be counted and recorded in your hours. •Below are the things that don’t count: Non-rope access work such as down time, fall arrest etc. and also meal breaks. •It is suggested that you should record your rope access training hours but these hours do not count towards your total when you need to upgrade. 6) Can a Level 3 technician sign their own logbook? •Being a Level 3, you can sign in your own logbook. However, it’s always better to Ask your employer to countersign them or the other option is to have a fellow L3 technician working with you sign your book, to have more authenticity. •You also need to be careful while signing the logbooks of other technicians who are under your supervision. Make sure that the logged hours are accurate and the entries are completed correctly. You are endorsing them to IRATA, and so, an evaluator or assessor might call you to confirm the authenticity and if things are doubtful, that’s on you too! 7) What if I don’t have any Level 3 technician to sign my hours? • Firstly, you should not be working on site without a level 3. If you have worked with a level 3 onsite, but he didn’t sign your logbook due to any unavailability, in this case, you can ask your Company’s Owner, Managing Director, or Project Manager to sign your hours. They must confirm for you that the hours are correct and have been accomplished on a double rope system. •In case you have the same person verifying your hours who is a non-L3, they will have to write an official letter verifying multiple entries, from an employing company. •In a situation where you have plenty of non-L3 signed hours, your hours may be more observed/inspected as compared to others. Your instructor and valuators will call your references (the ones who verified your hours) to double check. In order to evaluate your rope access experience in a better way, evaluators may ask multiple questions about your previous workplace experience. Make sure you are well-versed with the IRATA ICOP, and TACS too, if you are a Level 3. 8) Is it allowed to use a pencil for recording hours in the logbook? •It is suggested that you use a black or blue coloured ink for recording your hours as pencil can be erased easily. 9) What happens on case I lose my logbook? •You should have backup photos of your logbook. And if you don’t it’s going to be hard to get your logbook but not impossible. So, Breathe! It’s not the end of the world. You can contact IRATA and follow the procedure for getting a new logbook with an additional cost. 10) What if I don’t get along my logbook when I upgrade? •Rope access technicians who want to upgrade to Level 2 or 3 cannot be considered and examined for assessment without an accurately maintained and updated logbook. IRATA takes experience and hours very seriously. In case you fail to prove your accurate hours, you won’t be qualified for the assessment. 11) Do training instructor hours count? •In case you perform any assistant or lead training, they are counted as working hours and will be counted It is also recommended to record these hours in an Assistant Instructor’s logbook separately (this is for IRATA only), if you want to get your “i” status for IRATA instructors.